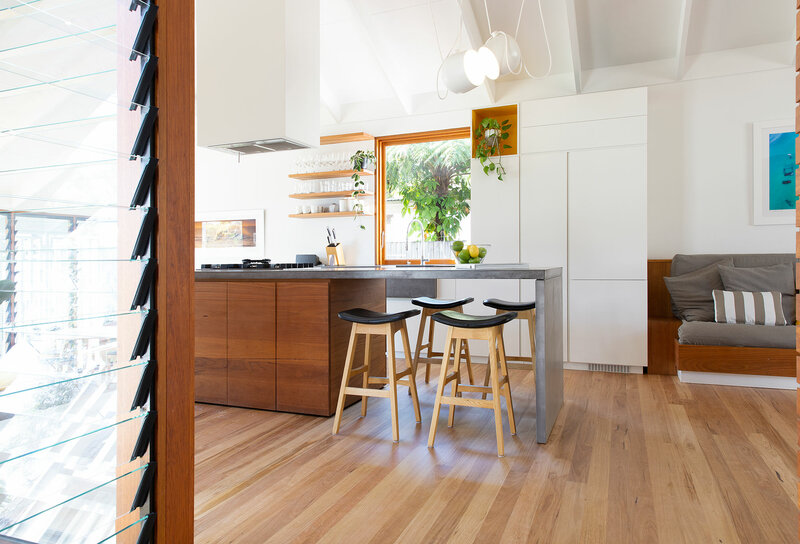 Once a tiny, burnt-out workers cottage, Bacchus was found and lovingly restored by SMITH Architects, turning its four forgotten walls into a spacious and luxurious 3-bedroom home. 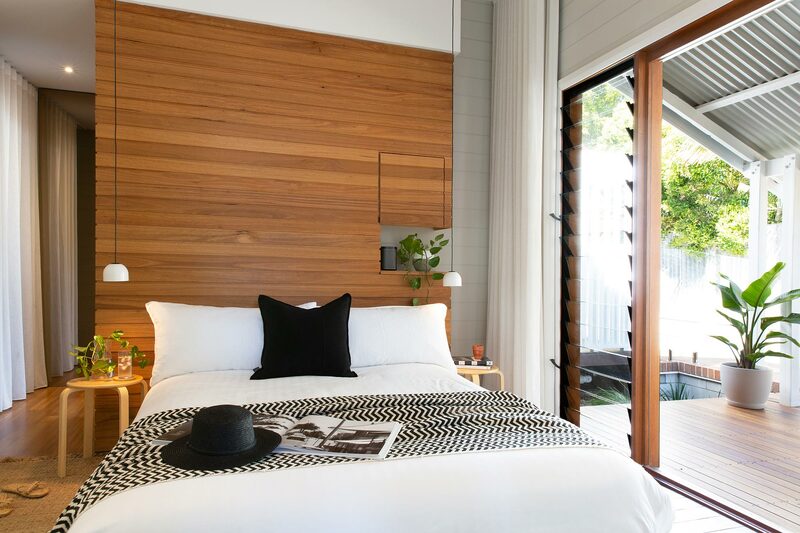 No detail left unattended, this smart expansion and redesign completely transformed the property, paying homage to cottage’s original bones while creating new spaces for guests to enjoy, right in the heart of Byron Bay. The open-plan kitchen and split-level living/lounge areas are truly the heart of this home. 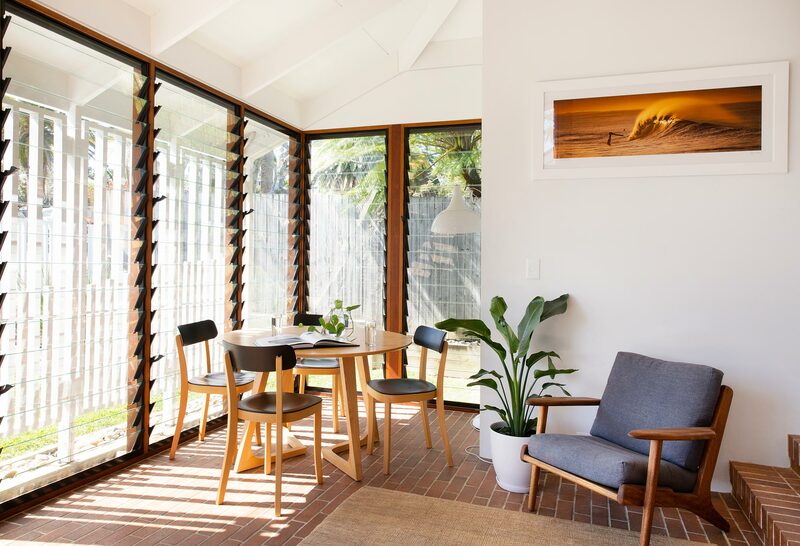 Polished, timber wood floors extend throughout the space, while high, vaulted ceilings and large, bright windows create optimal fresh air flow. 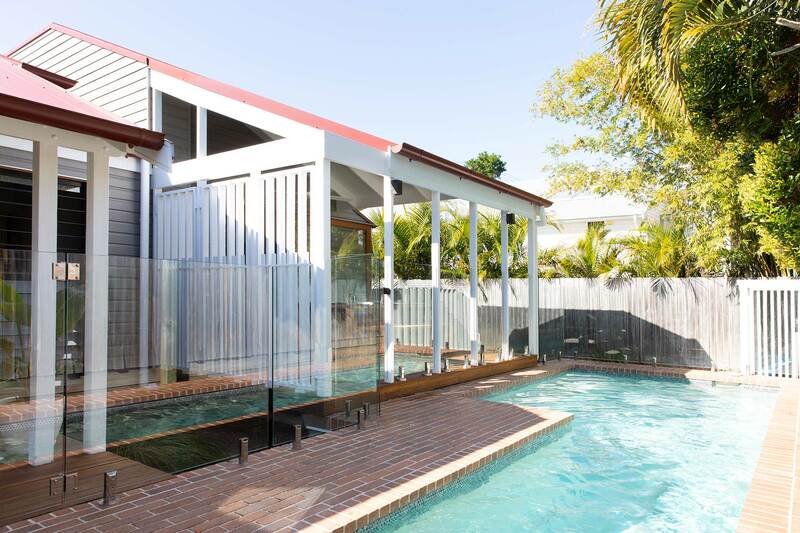 Outside, a fully covered deck is the perfect place to entertain the group or keep a watchful eye on children as they enjoy the 8-metre swimming pool. 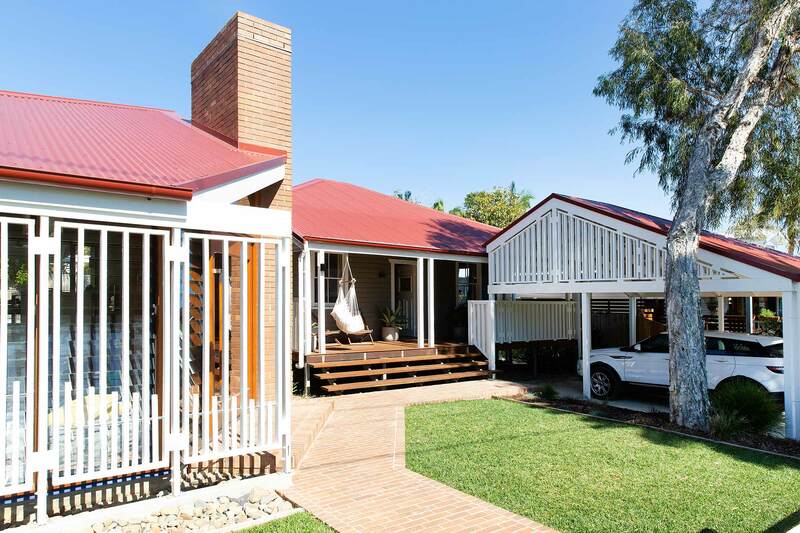 Light and bright, the home’s 3 bedrooms are comfortable, stylish retreats. The 2 bathrooms are impeccably designed, with custom, poured concrete sinks and funky tilework that pops! 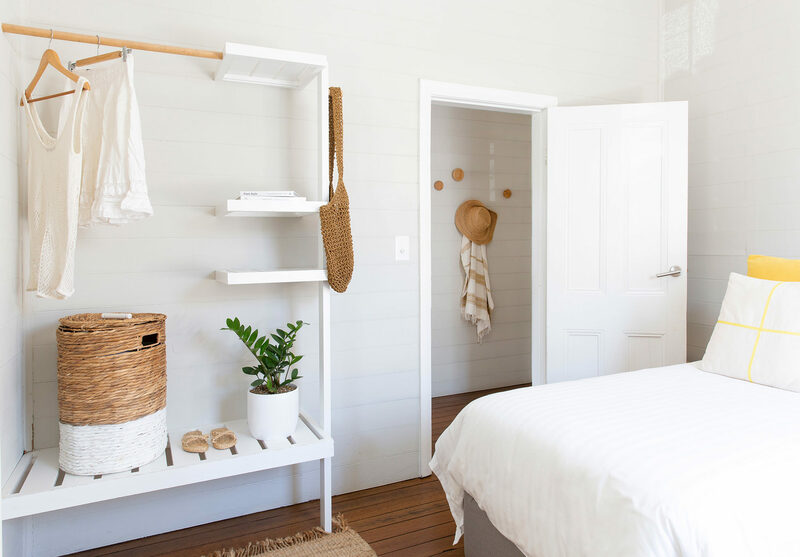 The master ensuite includes a shower and toilet while the second, shared bathroom has a gorgeous, free-standing bath and shower with separate toilet. 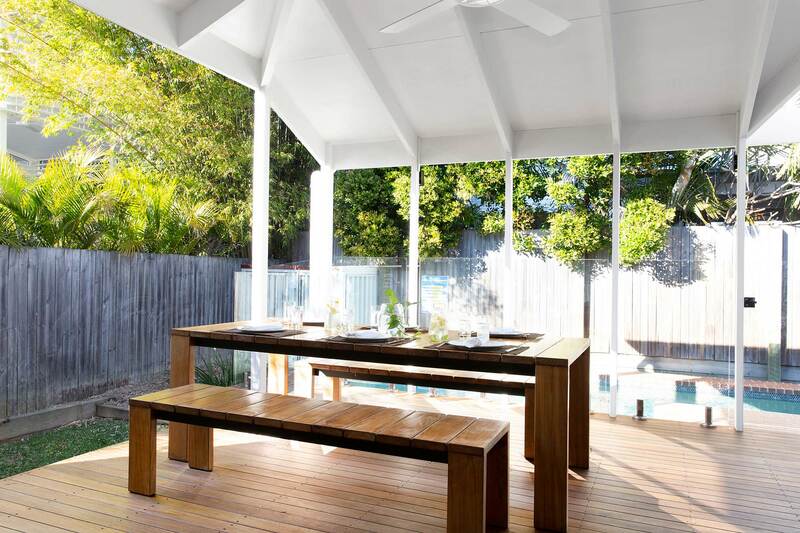 This incredible property is also ideally located just minutes away from the best of Byron Bay. The Top Shop, a popular cafe beloved by locals, is just up the road from Bacchus and sure to become your hangout of choice. Setting out on foot, Clarkes Beach is 5 minutes away while the centre of town is just a few steps further. 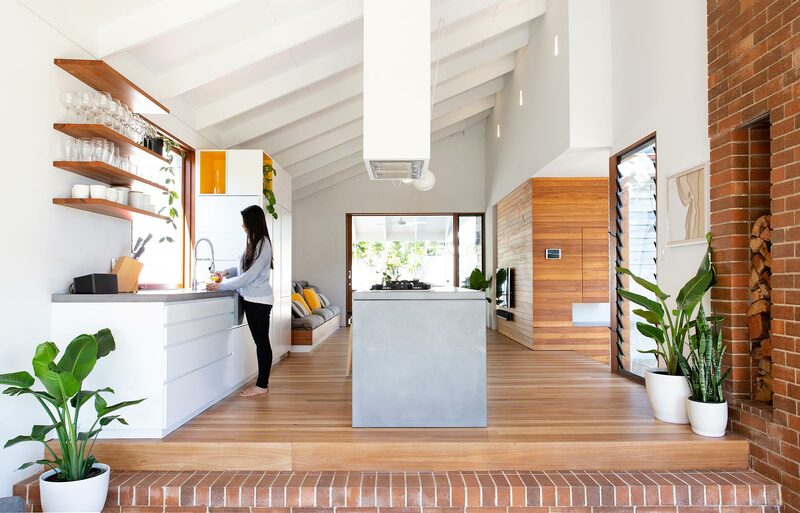 Designed for optimal natural light and fresh air flow, the open-plan living space is a comfortable place to relax and gather. 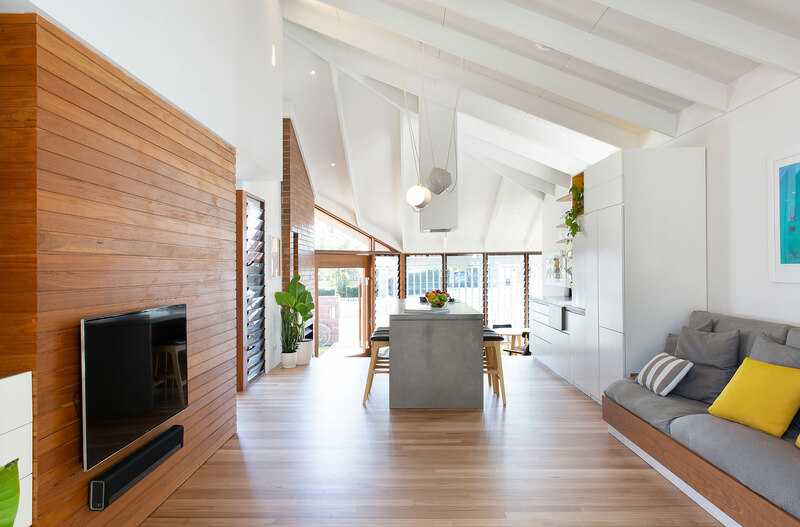 The living space forms an extension to the original cottage footprint and the styling continued with new polished timber floorboards throughout. New, vaulted ceilings and bright windows create an open, airy feeling while the brick features feel warm and welcoming. Sink into the enormous, custom-built sofa and enjoy the large, flat screen TV with PlayStation 4. 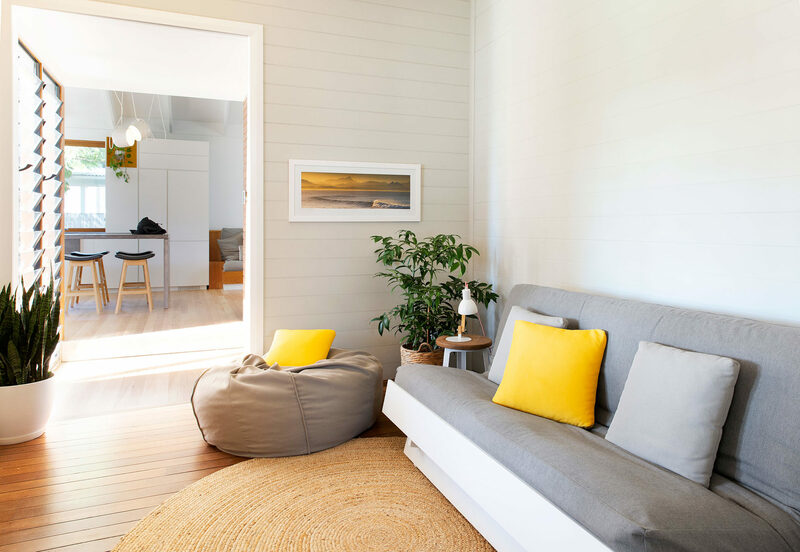 A smaller, separate sitting room is located just off the living area, adding even more private space to relax and lounge. The fully-equipped kitchen is really a modern design lover’s dream. 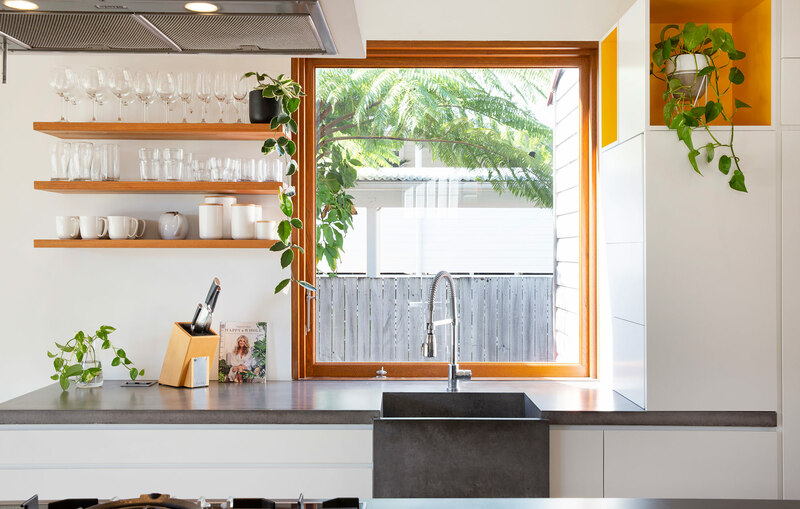 The poured concrete countertops are a perfect marriage of form and function, custom-cut to size with a deep, farmhouse sink. The kitchen island is not only a place to cook, using the integrated oven and stove top, but a place to come together. There is bar seating for 4, creating a central spot to enjoy one another’s company over a glass of wine or to simply enjoy your morning coffee. 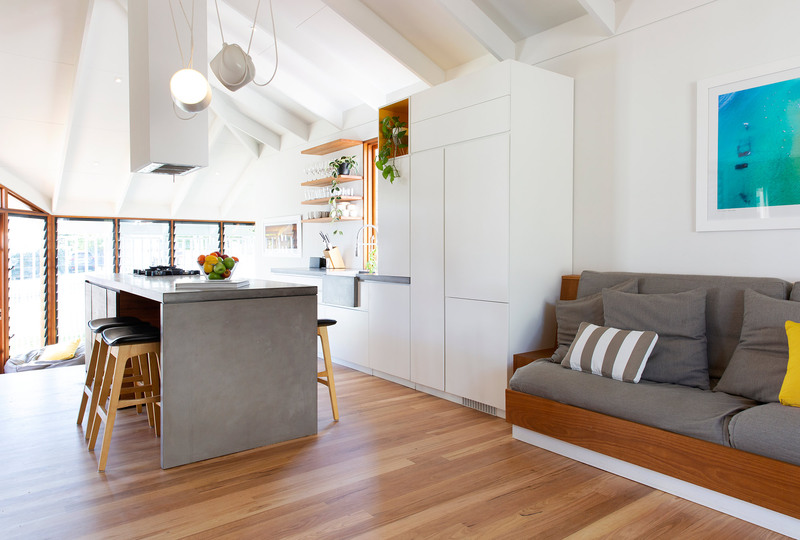 Just off the kitchen and down a few steps is a separate sitting area with dining table for 4, set beside large windows allowing ample natural light to fill the space. 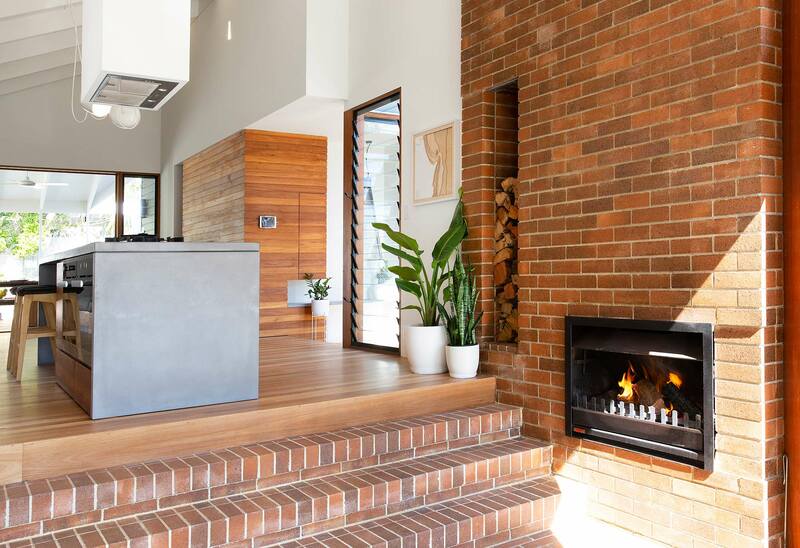 The focal point, however, is a stunning, wood-burning fireplace, adorned with retro brick that is carried from the floor straight up to the vaulted ceiling. The original cottage footprint is beautifully preserved, now transformed into the bedroom and bathroom areas. The polished timber wood floors continue throughout the 3 bedrooms, while shiplap walls add a subtle nod to the cottage’s history. 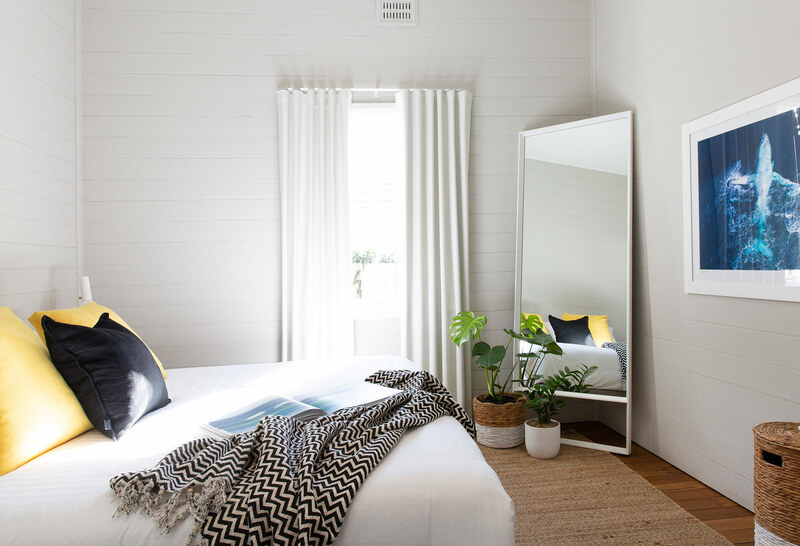 The design is airy and bright, complementing the soft, natural light with fresh, white linens, playful pops of yellow, and natural, woven accents. In the master bedroom is a show-stopping, custom wood headboard, extending nearly the entire height of the space. Tuck your favourite bedtime read away in the built-in storage cupboard and settle into the comfy, queen-size bed. The master opens onto a covered, outdoor deck via sliding glass doors and has its own luxurious, ensuite bathroom. 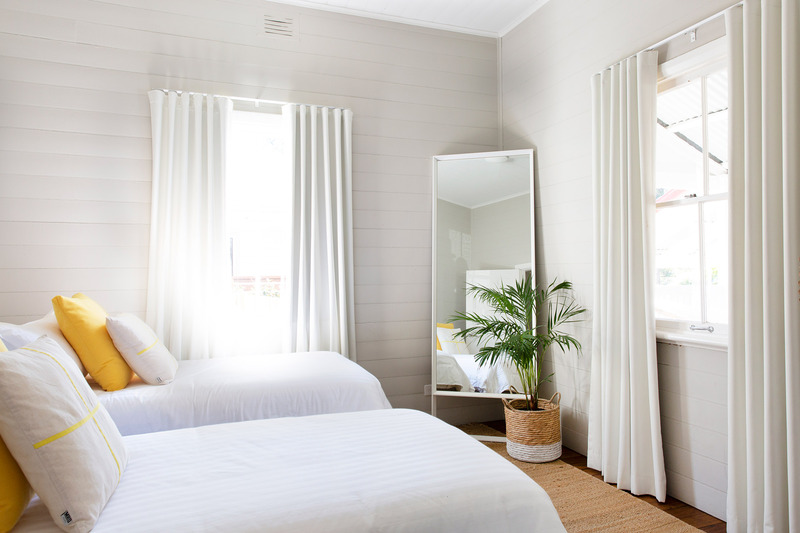 Two more bedrooms are similarly styled, one with a king bed (which can be split into 2 single beds) and one with 2 single beds (which can be combined into one king bed). There is a custom-made queen futon in the sitting room, suitable for 2 guests and available on request at the time of booking. 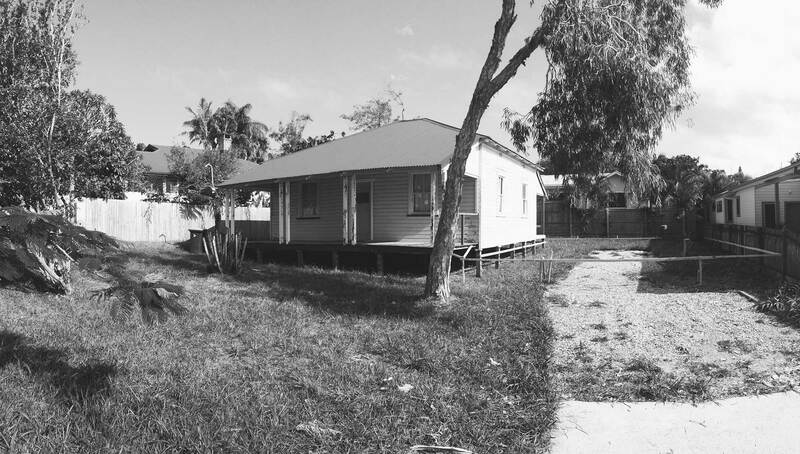 It’s hard to imagine that this former workers’ cottage once had only an outhouse toilet in the backyard. The stunning renovation by SMITH Architects added not one, but two, luxurious bathrooms to Bacchus! 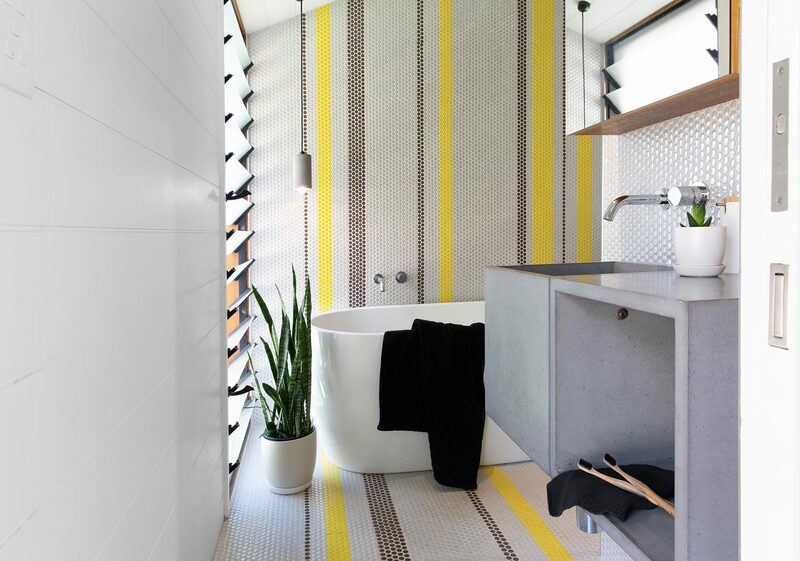 Each bathroom features custom tilework that carries seamlessly from the floor up to the ceiling, providing a playful pop of color in the form of yellow accent tiles. The matching, poured concrete vanities are custom pieces that complement the concrete countertops in the kitchen. The master ensuite bathroom is a peaceful place to pamper and groom, dripping with natural light, with an open, overhead shower and toilet. In the shared, second bathroom, is a real treat: a gorgeous, freestanding bathtub is just begging to be filled with your favourite aromatic bubbles! This larger space is ideal for sharing, with a second shower and a separate toilet room. There is also a hot and cold shower outside, perfect for a quick rinse after a day at nearby Clarkes Beach. From a charming front deck with sitting area to the covered back deck, there are ample spaces at Bacchus to relax and enjoy the fresh air outside. Just off the kitchen, the covered back deck includes a dining table with bench-style seating, created with entertaining and family meals in mind. Possibly the cosiest spot in the house, a comfortable hanging chair on the back deck is the perfect place to perch with a good book and enjoy the sunshine! Perfect to enjoy on a hot summer’s day, the swimming pool is unheated and 8 metres long. An outdoor hot and cold shower is convenient, especially for surfers and beachgoers: rinse off those sandy legs and feet before jumping in! There is space for 2 cars to park off-street in the covered carport. 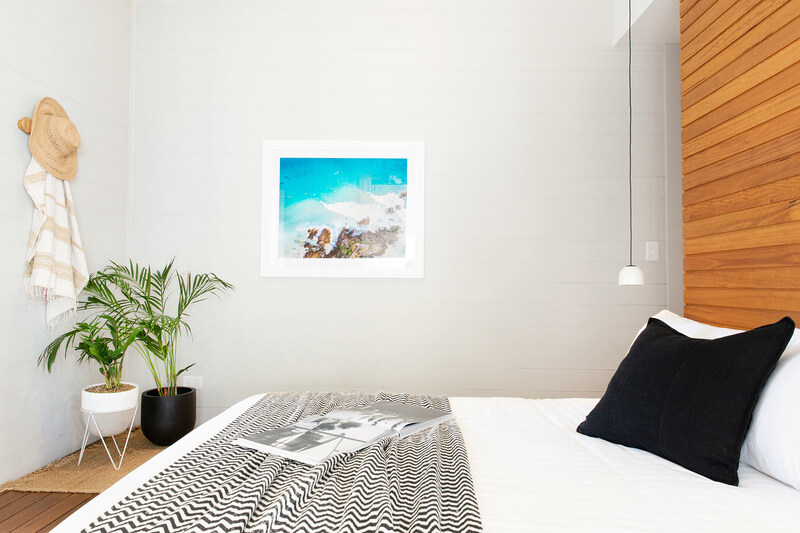 When staying at Bacchus, you are truly staying in the heart of Byron Bay. Just 3 doors away at the top end of leafy Carlyle Street is The Top Shop, one of Byron’s most popular cafés with delicious coffee and a welcoming, neighbourhood vibe. Many more fantastic restaurants, bars, and cafés await, along with stylish boutiques and shops, mere minutes away in the centre of town. Beach bums will appreciate the 5-minute walk to Clarkes Beach, a hub of activity for surfers and sunbathers alike. Group restrictions - maximum of 8 adults at the property. Beautiful house and great communications with all staff (very prompt on getting back to us). Not the first time we have used this company and would continue to keep using and recommending to family and friends. 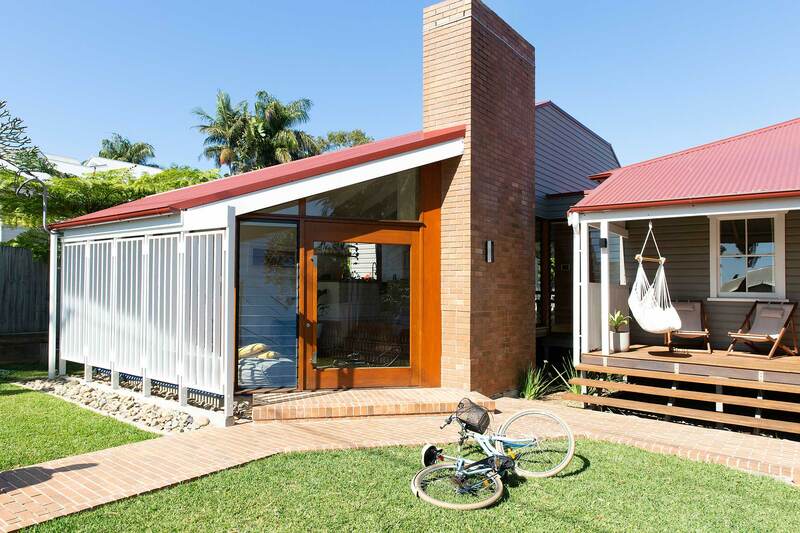 Amazing house in a great spot of Byron Bay. Would stay here again in a heartbeat! We absolutely loved our stay at Bacchus, 58 Carlyle St. The location could not have been more perfect as we easily walked or rode bikes to the beach, centre of town and having The Topshop one minute away was awesome. The house was beautiful and well presented, so airy and light filled, clean and perfectly equipped. I really appreciated that Bacchus provided pool towels as one less thing to pack! We couldn't have been happier with our stay, thank you so much.